On Wednesday, February 13th 2019, the Delaware Valley Radio Association monthly meeting will feature a presentation titled Finding Your Ham Roots by Martin Crabtree, W3PR. Amateur radio operator Martin Crabtree, W3PR, and his shack in 2019. Photo courtesy Martin Crabtree. Chances are you know some hams by their call sign but would be hard pressed to give their actual last name. In ham circles, your call sign often is your last name. Just say W2ZQ to any DVRA member and they immediately know what you’re talking about. But where did these odd combinations of letters and a number come from? Martin will discuss the history and development of amateur radio call signs in the Unites States over the past 100+ years. 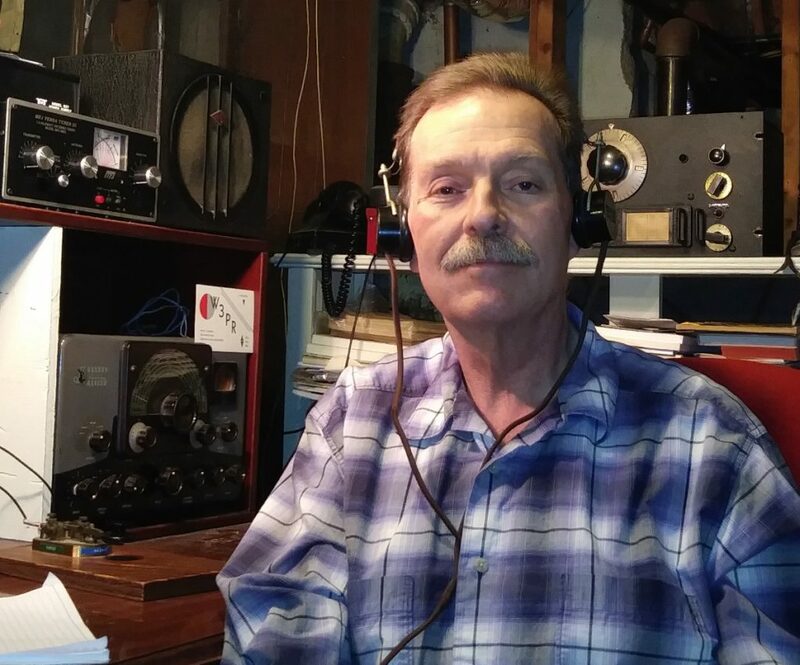 He will also trace the history of the W2ZQ call sign, some other call signs you may know, as well as his own call, W3PR, which dates back to 1913. Martin will also share resources you can use to trace the history of your own call sign. Martin Crabtree was first licenses as WN3WMF in Pennsylvania in 1974. A year later he became WA3WMF earning his Extra Class license in 1981. In 2015, he became W3PR, a call sign previously held by his father since 1977. Martin’s interests include casual contesting and DXing preferring CW with a straight key over SSB. Martin spends most of his operating time on the HF bands with a preference for 160 and 15 meters (come on sunspots!). Martin is also interested in the history of radio and television and is a life member of both the ARRL and the Antique Wireless Association. Joining the DVRA in 2015, Martin currently serves as the club’s Director of Training and Examinations.